The sun was shining, the music was blasting and Yalies were glad to be Yalies. Since the bleak thunder cloud of finals has finally passed, it’s time to look back at probably the last time you saw a lot of people before you shipped yourself back home and, at least for me, the last time I didn’t do any work for an entire day. 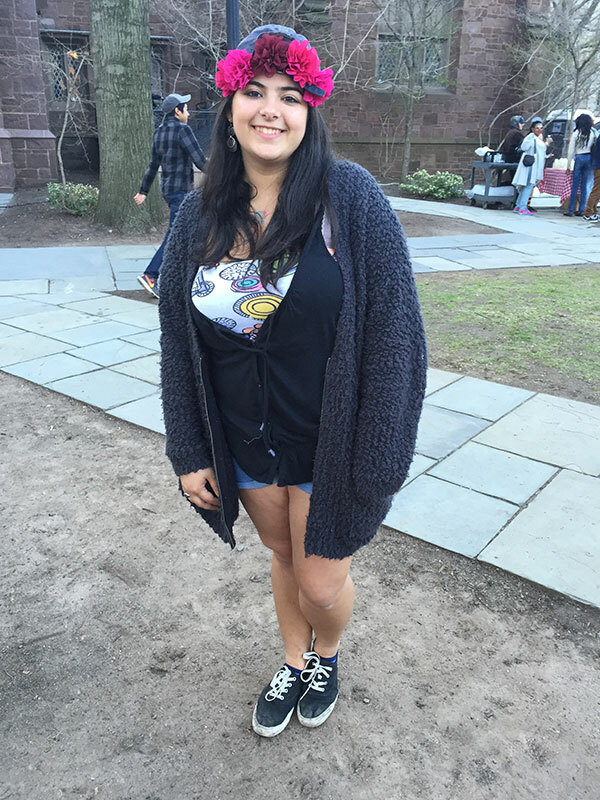 Spring Fling fashion will inevitably be what’s in for the rest of the summer, so finish boxing up your winter sweaters and make sure to take these pieces back home to wear to your hometown music festival or high school friend BBQ. 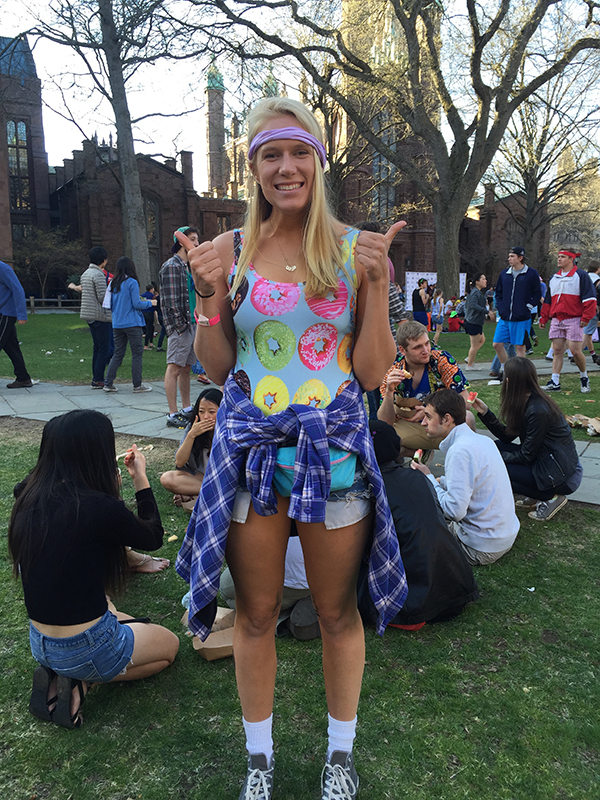 The classic crop top, the bane of high school administrators and strict parents everywhere. This little baby crops you in all the right places. It’s a warm weather essential. Whether you decided to pair it with a high waisted skirt (how fashionable of you) or let your bellybutton breath with something a little more lowrise, the crop top was the way to go this year. For many, it looked like the picture on the left: paired with simple sneakers and a skirt. For others, it looked like the picture on the right: just the right amount of skin showing. When I went to take this picture, the guys were quick to inform me that they were wearing, “Drop Box Crop Tops. Bet you can’t say that three times fast.” They were right, I couldn’t. What do Coachella, Springfest, Firefly and Lollapalooza have in common, besides being ridiculously expensive? Flower crowns. In theory, these are crafted out of dandelions you found whilst strolling through a field and, if by field you mean Urban Outfitters, then yes, that’s where the majority of the population got their festival headgear. 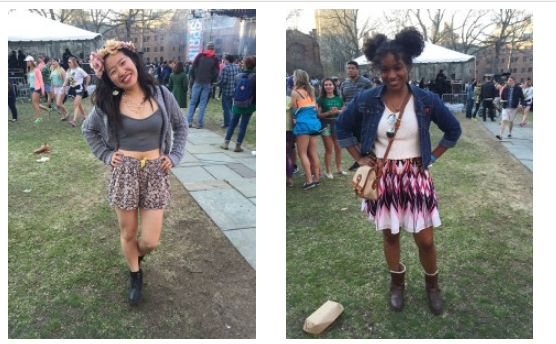 I’m not even sure it’s a music festival if one third of the people aren’t wearing flower crowns. Bonus points if you also have face paint in the form of dots around your eyes. This item of clothing says: “I let my chest do my talking.” Take that in any way you please Boola readers. 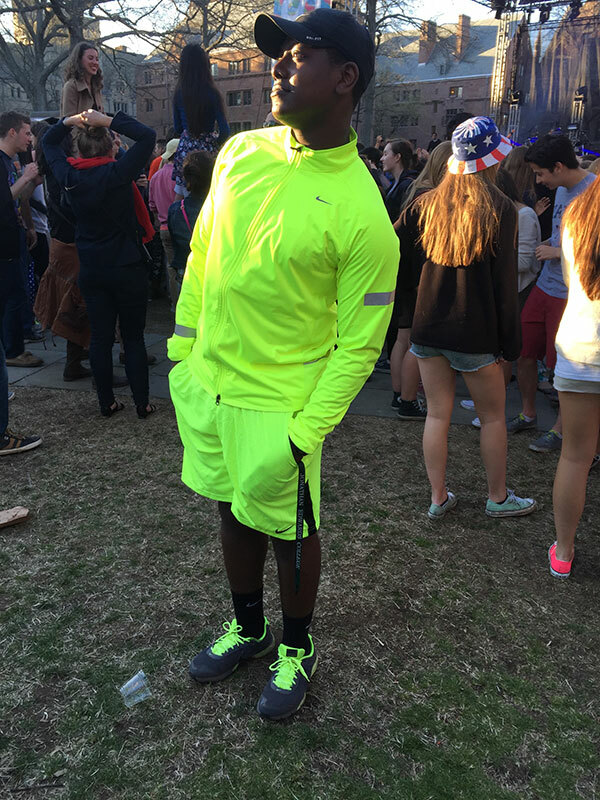 If you’re unsure if the person in front of you is a student or works for Yale security, then get your act together because neon is a summer trend thats been around, and is staying around. 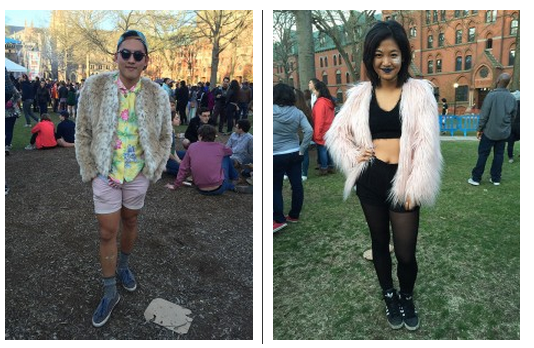 Some use it to spice up an otherwise chill outfit, while others decide that all out is the only option. Either way, neon is just the right amount of wearable party. As you can see, highlighter yellow was a favorite. They’re quirky, they’re cute, and, best of all, they’re simple. Stock your wardrobe with a few funky prints. The louder, the better. 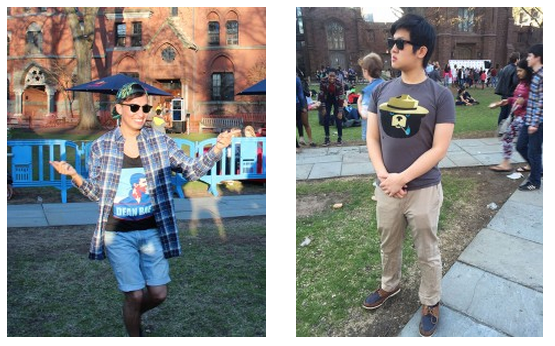 Nothing is more fun than the repetition of a image on clothing. Nothing. Fur is not just reserved for the winter, ladies and gentlemen. It adds the perfect amount of edge to an otherwise simple outfit. Also, it’s a major head turner. Don’t call PETA, I’m pretty sure all the furs we saw at Fling were faux. The best way to get both high and wasted without the illegality or loss of motor skills, am I right?! 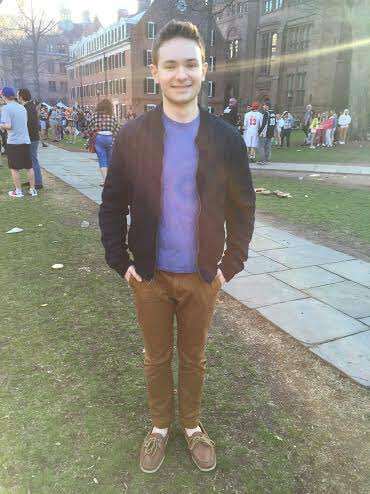 But in all seriousness, style is everywhere, music festival or not. And for good reason. They’re comfortable, cute, and incredibly flattering. Looking for somewhere to purchase said skirt or shorts after this in-depth and riveting review? Look in any store that sells clothes. Literally any. It’s quick, it’s easy. Nothing is more effortless than statement outerwear. Once you find the perfect piece, wear it with something a little more form fitting, like the Yalies below, to create the perfect silhouette. Also, peep the patterned denim skirt in the picture below and to the right. Literally the “cherry” on top of a great outfit (ok, I’m done with the bad jokes).